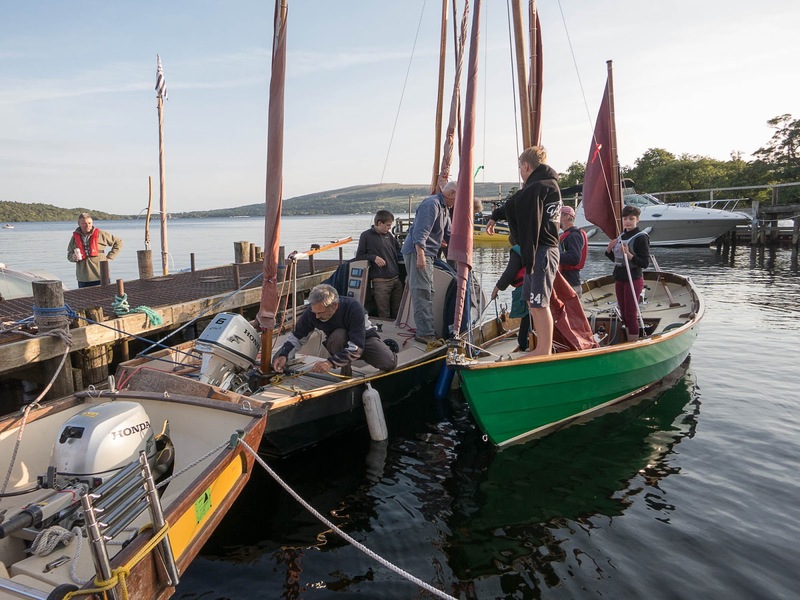 Two boats arrived on the Wednesday before the rally, with the aim of reaching the most northern end of the Loch, which is 24 miles long. However, by lunch time on the Thursday a force 6 north wind had blown in, which stopped out progress at Ross Point on the east bank, which was very sheltered. 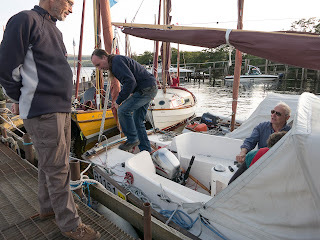 By Friday the wind had moderated, which gave us a chance to for a good sail. 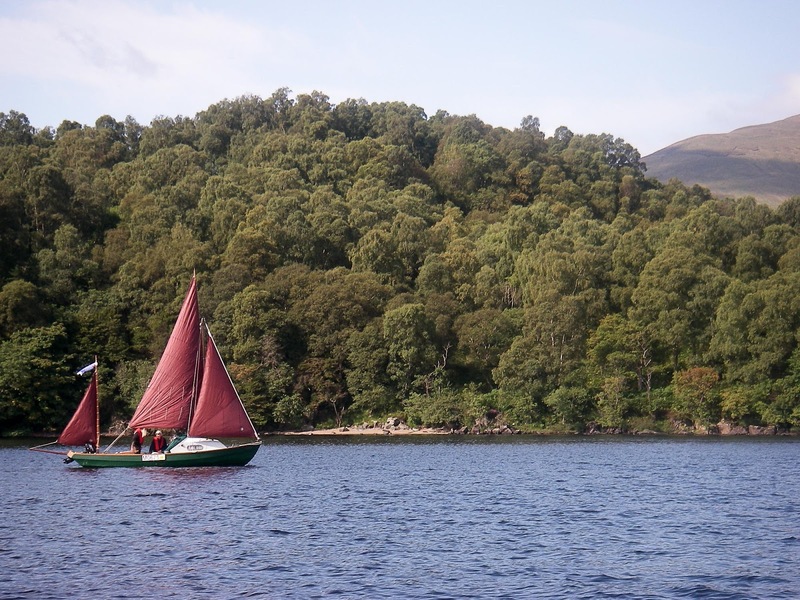 One boat had bravely motored through the rough weather of the previous day and now could enjoy the return sail. By Friday evening several boats met in the Haven, only for the peace to be broken by a group of motor boats, who decided to party on the beach. 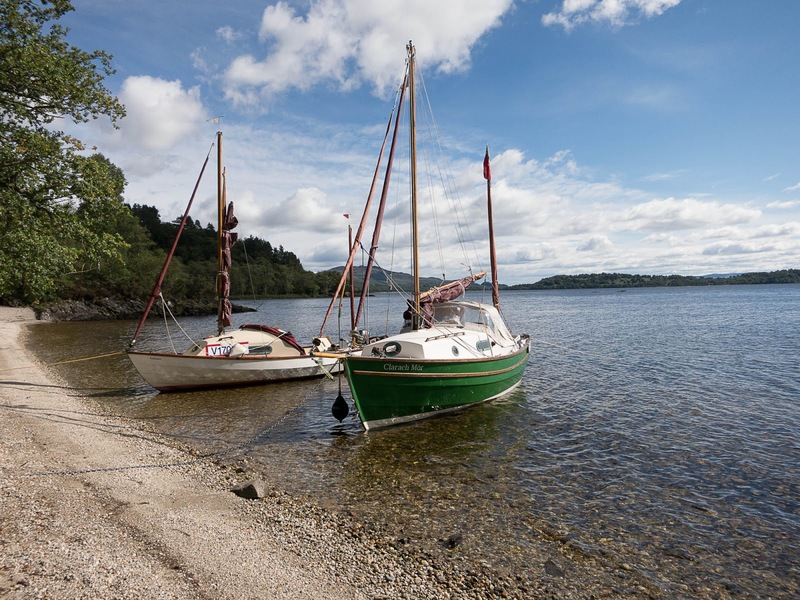 There are plenty of other places to anchor amongst the islands and these would be worth exploring. 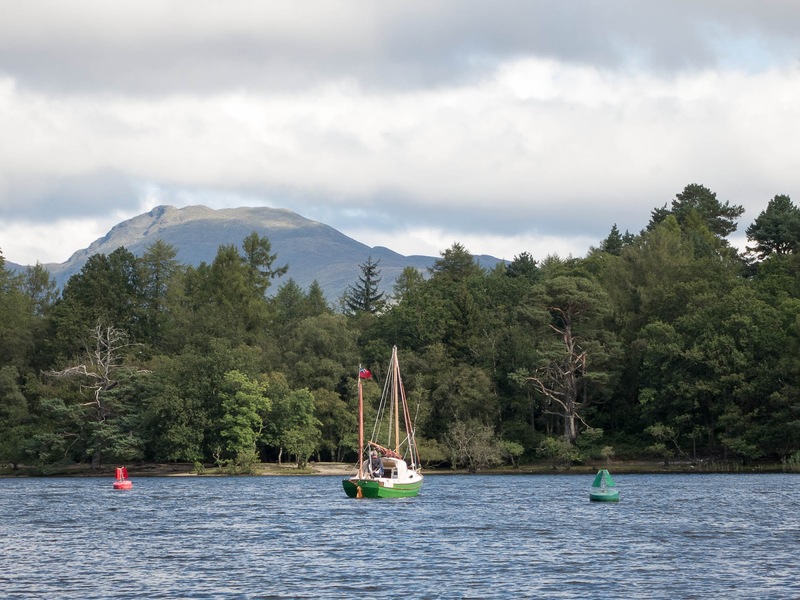 After collecting the rest of the fleet at Milarrochy, the total was now 10 boats, there was a sail back to Ross Point for lunch, before an ice cream at Luss. 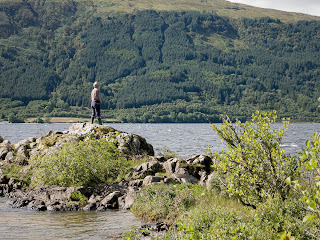 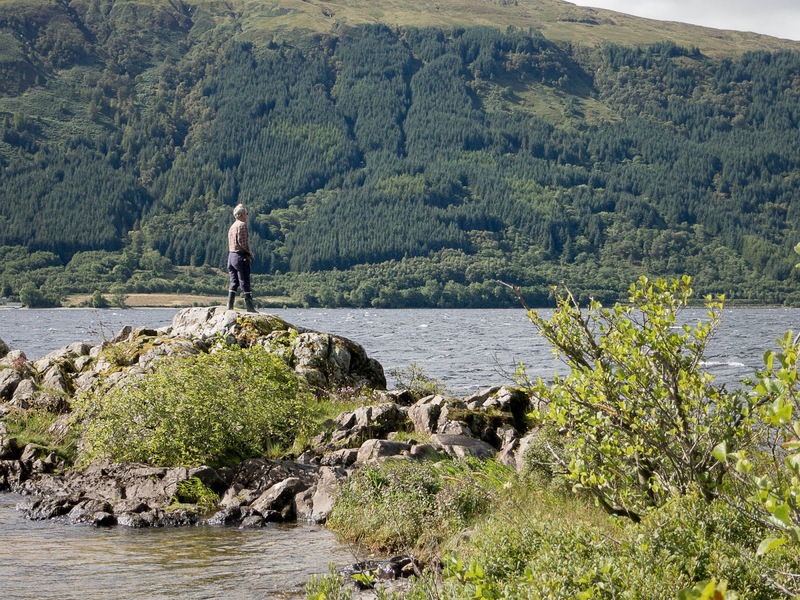 The meal on the Saturday evening was at the hotel on Inchmurrin at the south end of the Loch. 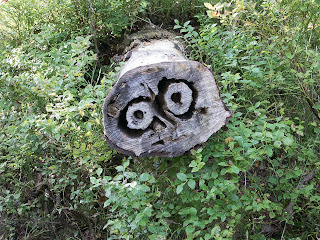 The meal was excellent and we had our cheese cake wrapped up and saved for the following day. 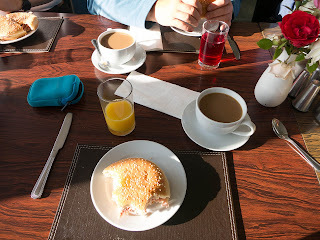 The weather remained perfect for Sunday and breakfast of bacon rolls was a welcome addition. 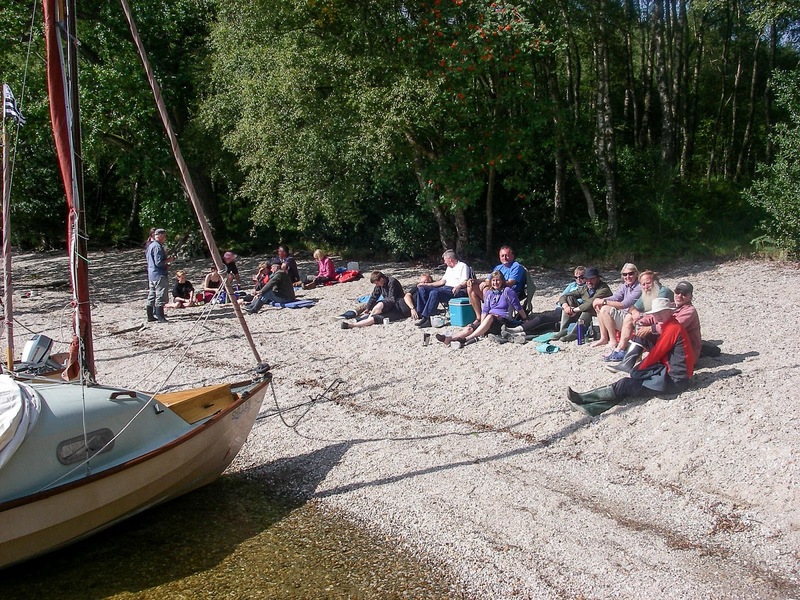 After this the group split into smaller groups to enjoy the final days sailing. 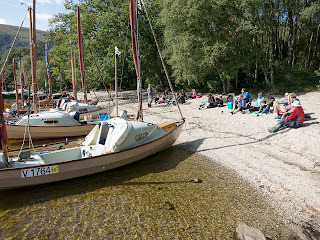 The rally was very well organised and hopefully next year's equally good weather can also be booked in advance. 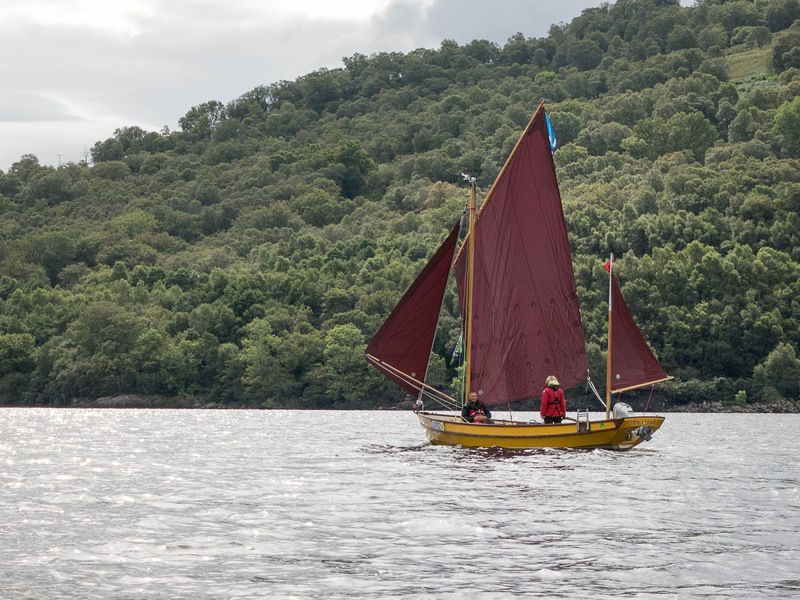 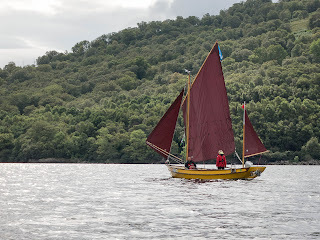 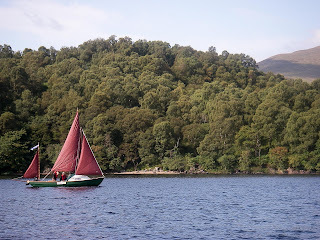 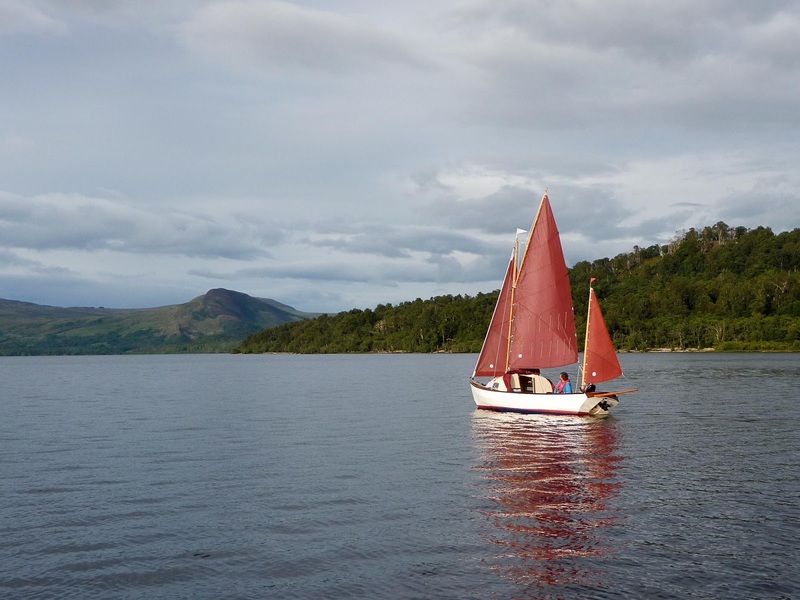 This was our first sail on the Loch. It's important to remember you need to register your boat and ensure your number is clearly displayed. 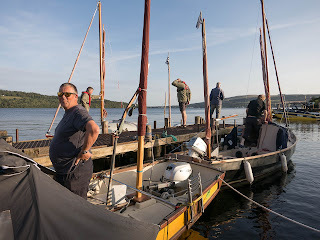 Most of the boats had been before and had made removable boards with brackets to hang over the gunwales, showing their registration numbers, some thing that will be worth making for future visits - we used "gaffer tape". 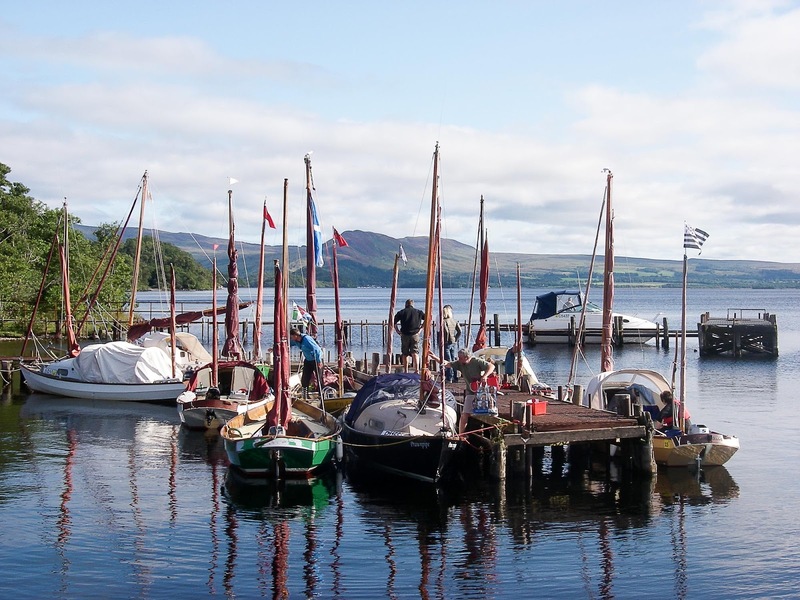 The slip at Balloch was easy to launch from on Wednesday and the wardens were very helpful. 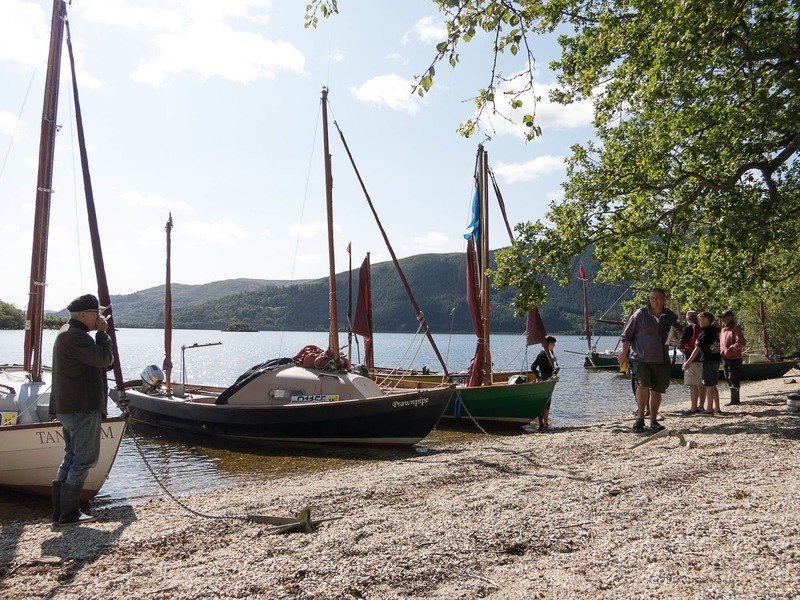 There is an area to park on arrival, so you can check in and then drive round to a rigging area, before using the slipway. 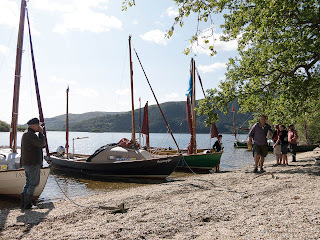 Things were much busier on our return on Sunday and the car & trailer park was full. 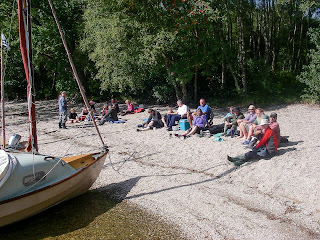 But the wardens kept things moving and the whole experience was much less stressful than expected. 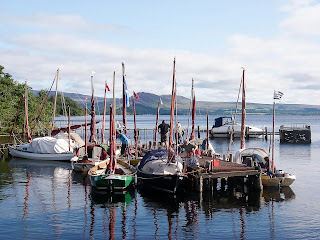 The link below will show a video of the rally on YouTube, which includes a short sequence of the slipway at Balloch. 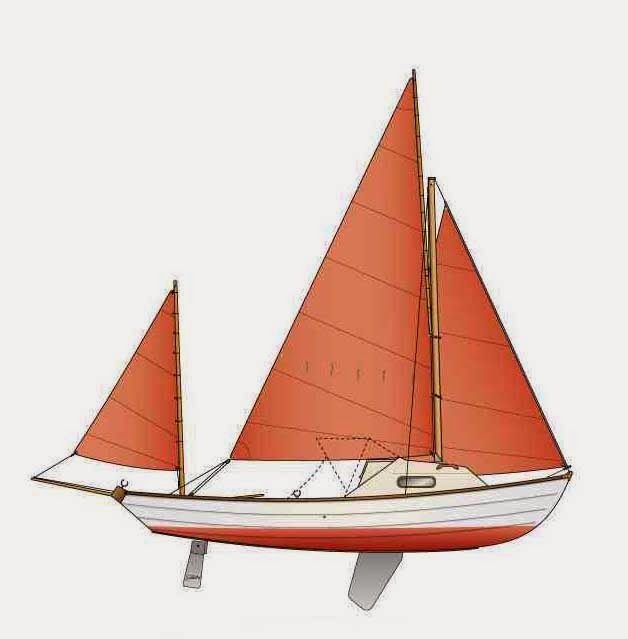 It is possible to a buy a set of charts/maps that show the various areas of shallows, buoys etc. 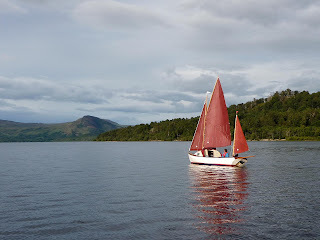 These are printed on water resistant paper and are worth the £12 they cost. 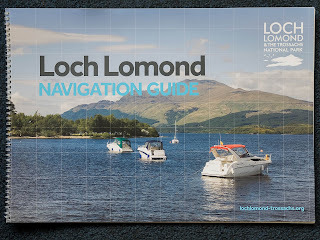 However, they are quite large format and are supplied in a wire bound folder. A smaller format may be more useful. 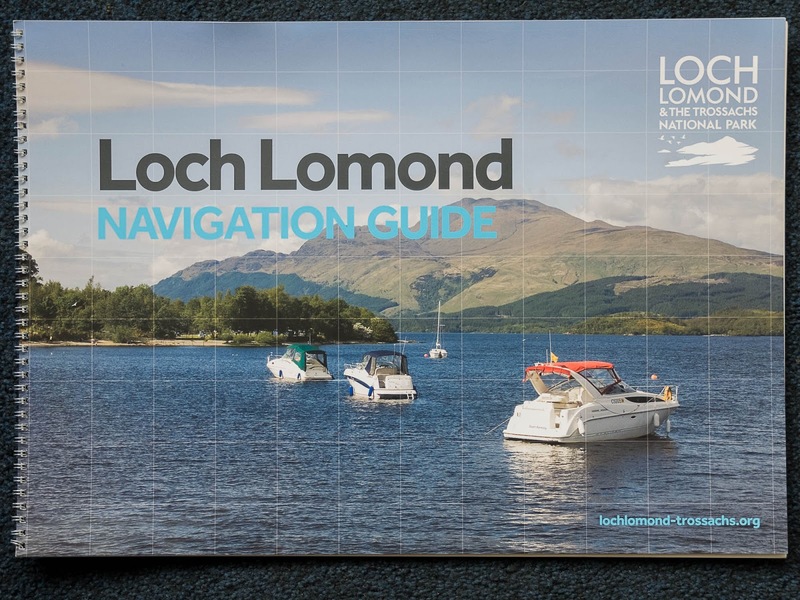 The link below makes interesting reading, about why the initial print-run of this guide had to withdrawn from sale.